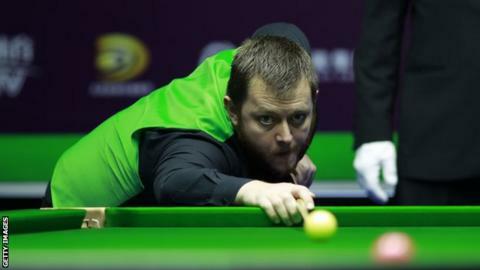 Mark Allen eased through to the semi-finals of the Scottish Open with a 5-0 win over Alfie Burden in Glasgow. The Antrim player made made a highest break of 86 in the whitewash win over the Englishman, who has never reached the last four of a ranking tournament. Burden threatened to take the fifth frame but missed an easy red to the middle pocket after 24, which let Allen in to go clear with a break of 61. Allen will play Daniel Wells in the last four on Saturday. Wells beat fellow Welshman Ryan Day 5-1 in their quarter-final with Judd Trump defeating Stuart Carrington 5-3 in the other match of the evening session to complete the semi-final line up. Trump will face Shaun Murphy, who reached the last four with a 5-0 win over Sam Baird. Masters champion Allen's highest break on Friday came in the second frame, which he won 138-1. The 32-year-old has been in impressive form recently, winning the International Championships in China in November and reaching the final of last week's UK Championship, where he lost to Ronnie O'Sullivan.